Coley Park Community Centre, 140 Wensley Road, Reading RG1 6DW. Open Sessions on Thursdays 4.00 p.m. to 5.00 p.m. 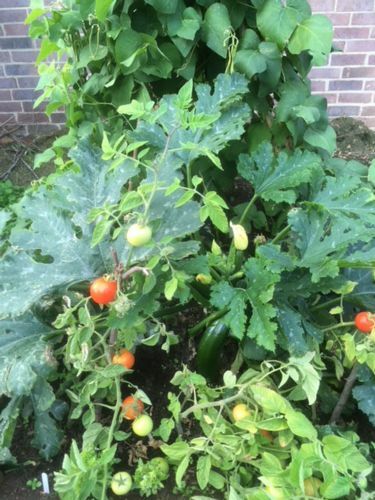 The Coley Park Community Garden offers an outdoor green space where people in the local community can come along and help grow fruit, vegetables and flowers. The community garden comprises 4 raised beds which are used to grow food. A Food4Families garden tutor provides support at weekly garden sessions from March to October. The food that is grown is shared out between the people that take part in the gardening sessions. 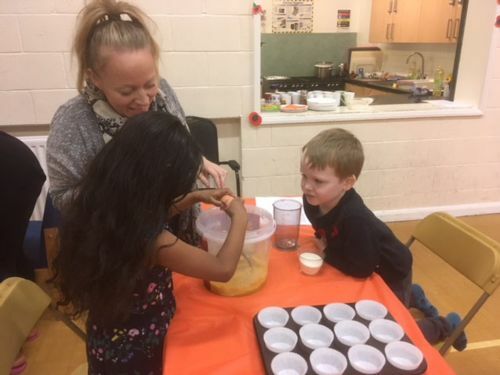 The Centre hosts additional events throughout the year such as cooking sessions using produce from the garden, for example pizza making, fruit muffins and vegetable cakes. The garden gives people in the area the opportunity to get outdoors, meet other people in the community, parents or grandparents can get involved in an activity with their children/grand children, enjoy gardening and nature in an otherwise very urban environment. We are always looking for new people to get involved and welcome ideas of additional sessions or activities we can run so please get in touch if you are interested! The gardens was built in 2017 by The Conservation Volunteers in partnership with Food4families and initially the after school club were using the garden to grow fruit and veg to use in their snacks or to take home. In 2018 local parents and toddlers really enjoyed growing a wide variety of crops and were especially proud of their large pumpkin. A local resident kindly donated a collection of pots which will be used to grow flowers to attract butterflies and bees to the garden. 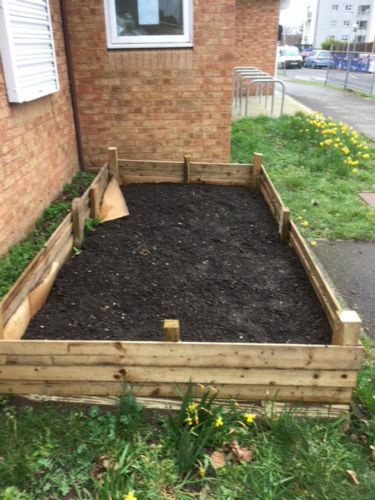 A new raised bed has been created at the front of the building and will be planted up with flowers and herbs. 4 fruit trees have been donated to the garden. 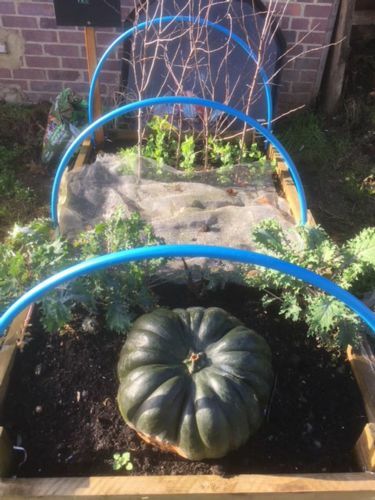 The Coley Park Pumpkin, one of many varieties of vegetables grown around Reading. to find delicious pumpkin recipes. 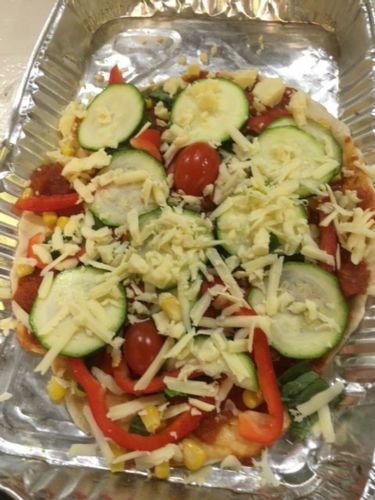 A pizza made with cherry tomatoes, red pepper, cucumber, and a sprinkling of cheese. All the vegetables are Reading grown. to see plants and vegetables growing well together. For further details please contact us and we will respond as soon as possible.